The perfect place to gather with friends at any time of day or night. Mangoes are one of the most succulent fruits in the world with the most enticing aroma. Our Pastry Chef has taken this most delightful fruit and perfected a range of the most mouthwatering cakes baked fresh daily just for you, where every mouthful is a taste of heaven. 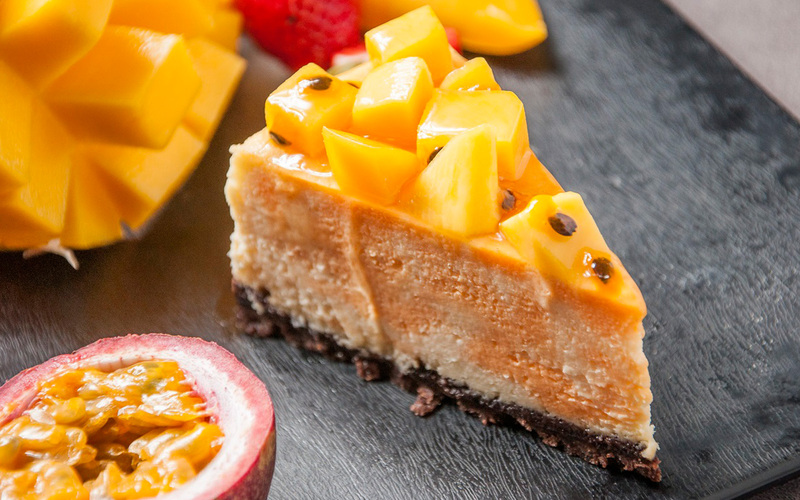 Choose from delicious delicacies such as; Mango Tart, Mango and Passion Fruit Cheesecake, Mango Mousse Cake, Mango Panacotta and Mango with Berries Crumble.